Our slim Cat6 Ethernet cables deliver reliable Gigabit network connections in high-density data center applications. The cables are 36% thinner than standard networking cables and enable flexible cable runs around corners, in crowded network racks and closets, and through cable-management panels. 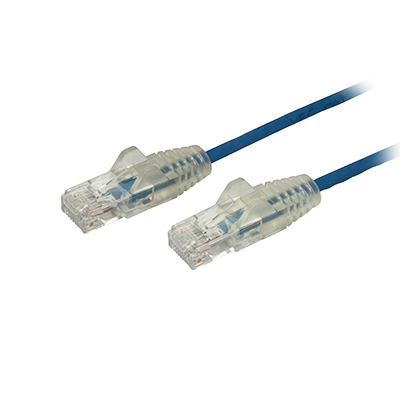 All of our slim Cat6 cables meet the ANSI/TIA-568-C.2 standard for Patch Cord Performance.